Bigg Boss 11: Vikas Gupta to EXIT Salman Khan's show ahead of grand finale? Bigg Boss 11 is in its finale week now and the makers are leaving no stone unturned to encash the escalating popularity of the show. Bigg Boss 11 is in its finale week now and the makers are leaving no stone unturned to encash the escalating popularity of the show. Lately, we saw that former contestant Arshi Khan making her way back inside the BB house. The lady came up with a sword of mid-week attention. If this twist was not enough to create a stir in the house, the recent media reports suggest that one of the strongest contestants on the show might leave the house ahead of the grand finale. We are talking about Vikas Gupta who has a tough competition on BB11. 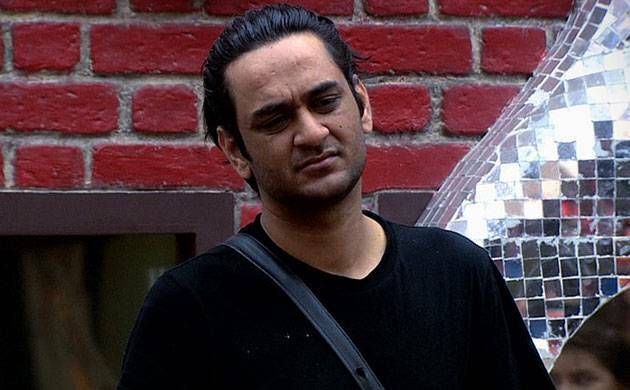 Reportedly, before the grand finale, Bigg Boss will give a lucrative offer to Vikas Gupta wherein he will be asked to take up a briefcase of money and walk out of the show. Also Read | Bigg Boss 11: Hina, Vikas, Shilpa, Puneesh, Akash-THIS contestant to get evicted in mid-week elimination? According to a report published in Bollywood Life, "Vikas will be offered Rs 10 lakh of the prize money and be given a choice to take the money and voluntarily exit from the house." On the other hand, the mid-week elimination has stirred speculations about who will be evicted from BB11 in the finale week. Apparently, it is going to be a close fight between Akash Dadlani and Puneesh Sharma to secure a place in the BB house. It will be interesting to see what more twists are yet to be unveiled in the finale week of Bigg Boss 11.